ISO 17025 Store > ISO 17025 Standards > What is ISO/IEC 17025:2017? ISO 17025 is the main international standard for general requirements for the competence of testing and calibration laboratories. ISO/IEC 17025:2017 is the most recent version of ISO 17025, updated from 2005. In major countries, ISO/IEC 17025 is the standard most labs must hold accreditation in order to be deemed technically competent. There are many commonalities with the ISO 9001 standard, but ISO/IEC 17025 is more specific in requirements for competence, and applies directly to those organizations that produce testing and calibration results and is based upon more technical principles producing many benefits for laboratories. This international ISO 17025 standard is applicable to all or any laboratory regardless of size or the extent of the scope of testing and calibration practices. It’s employed by laboratories to develop their management system for quality, body and technical operations. Overall, labs use ISO/IEC 17025 to implement a quality management system (QMS), with the goal of improving their ability to be consistent with producing valid results. It is also the basis for accreditation from an accreditation body. Since the standard is about competence, accreditation is simply the formal recognition of a demonstration of that competence. A prerequisite for a lab to become accredited is to have a documented QMS. The common contents of the quality manual follow the outline of the ISO/IEC 17025 standard. An added chapter on risk-based thinking. This reduced the standard’s prescriptive guidelines and resulted in added performance-based guidelines. More flexibility regarding processes, procedures, documented information, and organizational responsibilities. Technology updates. For example, the standard now recognized and incorporates the use of computers, electronic records and production of electronic records and reports. This significantly modernized the standard. The scope has been broadened and now includes all laboratory activities. 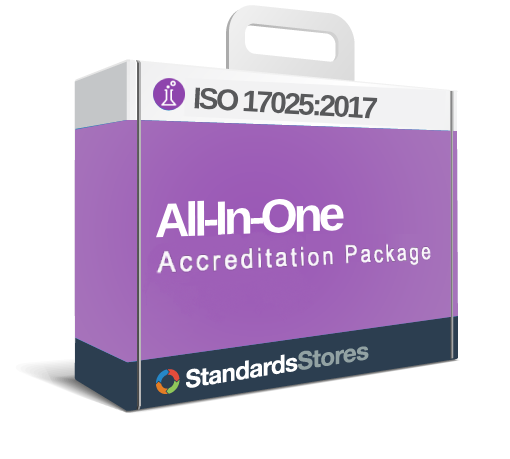 Here are some helpful products and resources we offer to allow your company to become accredited to the ISO/IEC 17025 quality standard. Not sure where to start? Our packages have everything you need to prepare for accreditation. Free Technical Support. Money Back Guarantee.